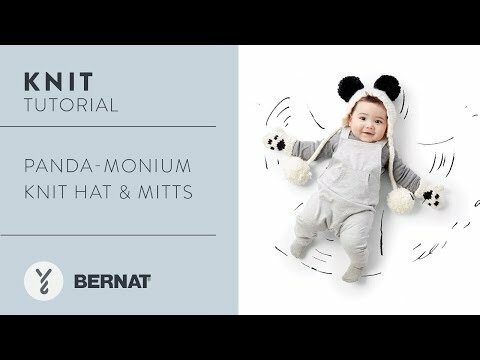 Bernat Panda-monium Hat & Mitts, 6-12 mos. 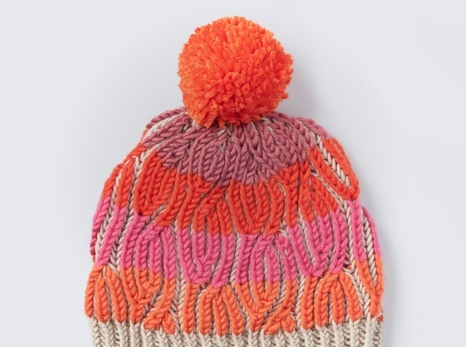 This cute knit set bumps up the fun while challenging the advanced knitter. To fit an average baby's head 6/12 (18/24) months old. 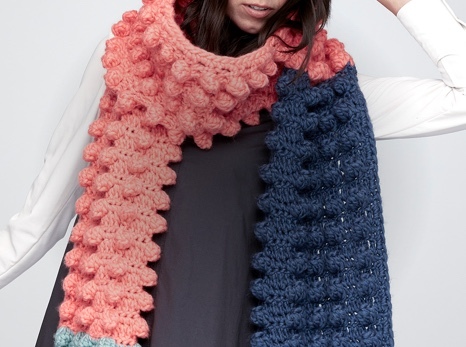 This is a great knit pattern for advanced beginners looking to build their knitting skills. 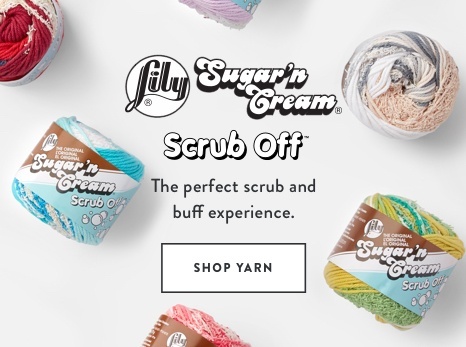 Many knitting techniques such as I-cords, a thumb gusset, duplicate stitch and some shaping are learned when working with this pattern, while knitting with Bernat Softee Baby Chunky works up quickly and with great stitch definition. Set of four size U.S. 10½ (6.5 mm) double-pointed knitting needles or sizes needed to obtain gauge.